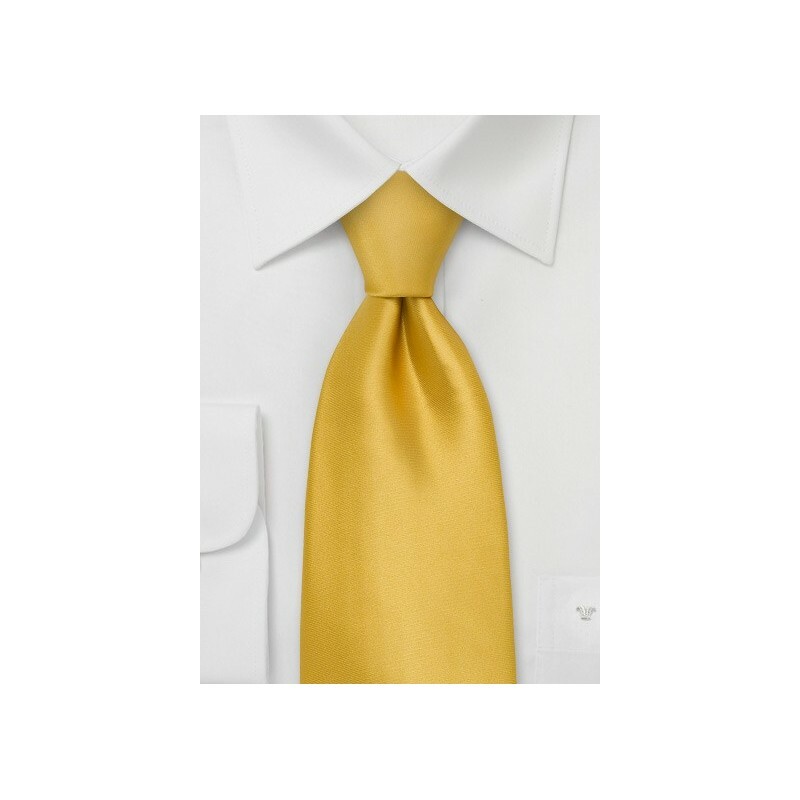 This yellow necktie is made from finest silk that gives off a golden shine. This tie is made in shorter length especially for kids between the ages six and ten. 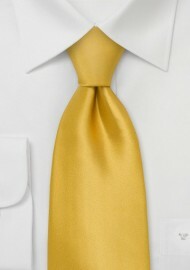 The golden shimmer of this tie adds a formal touch to this tie that looks best when worn on a sunny day. We suggest pairing this tie with a solid white dress shirt and navy suit. This tie is also available in regular length as well as in XL length.